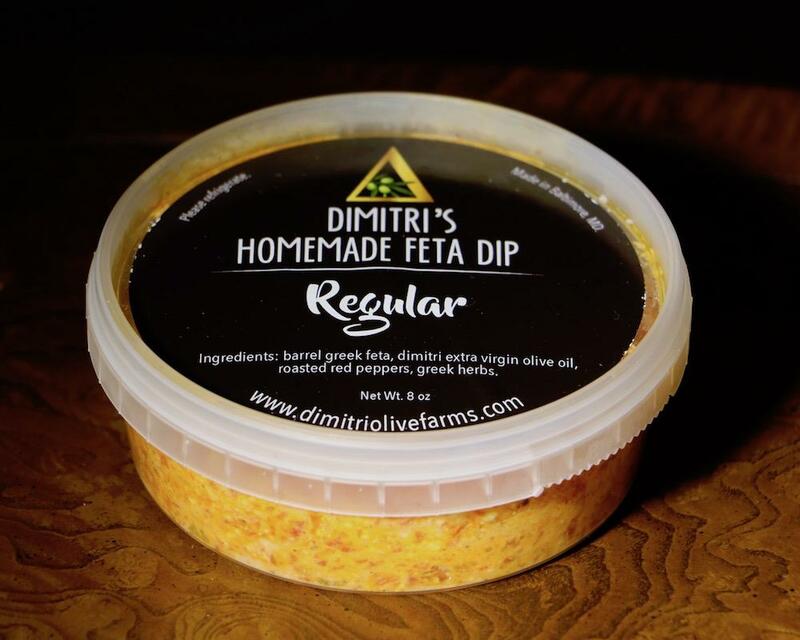 Feta and red pepper spread from Dimitri Olive Oil. Ingredients: barrel greek feta, dimitri EVOO, roasted red pepper, greek herbs. This product is perishable and should be used within 2 weeks of purchase.